Karen Patricia was born January 11, 1956 to Bud and Viola Wilson in Dickinson, ND. 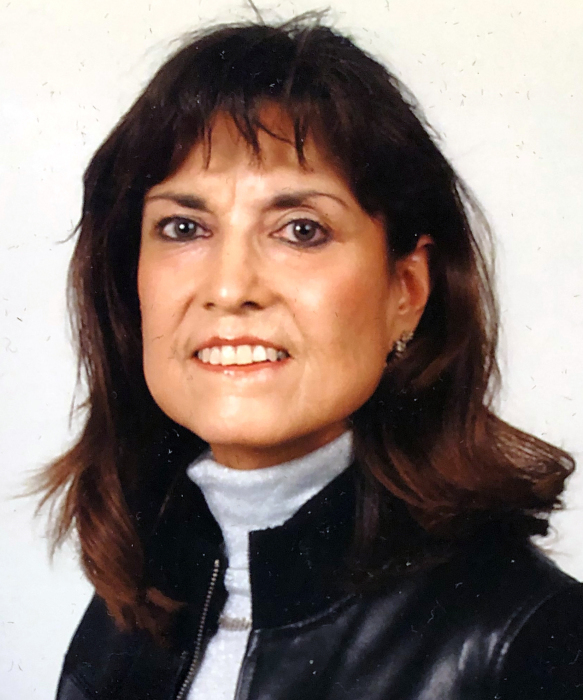 Karen attended grade school in Twin Buttes and was a graduate of Halliday High School in 1974, where she played varsity on the first ever girls basketball team and then later attended UND. She worked for various companies which built gas plants in Texas and Louisiana and was also a truck driver for road construction. In her earlier years, she worked as a secretary at the Twin Buttes school and was a Sunday school teacher at the Twin Buttes Congregational Church. She always kept her faith in the Lord and that is what kept her strong and encouraged her to keep going throughout her illness. She married Blair Selle in 1975 and together they shared a son, Bryan James. She later married Eddie Ray Aylor in 1982 and they resided in Texas for over 30 years. She loved spending time with her friends and family. Family was most important to her and she made it a priority to make each of her siblings and their spouses feel special, as well as her nieces, nephews, and all her grandchildren. Her greatest joy was spending time with her son Bryan and his family. One of her favorite pastimes was sitting in her swing enjoying a warm sunny day. After her husband Eddie passed away in 2011, Karen returned to North Dakota to be with her family. She enjoyed traveling and loved to have a fun time and a hearty laugh. She had a great sense of humor and was able to lighten any situation. Karen always prided herself on what an excellent memory she had. She could tell you details of a crazy story that happened a week ago or 40 years ago. Karen will be missed by all who love her and cherish the good times shared with her. Karen is survived by her son, Bryan James (Anna) Selle of Grand Forks and her granddaughter Kaylyn Selle: Eddie’s children, Toni Ann (Buddy) Harrott, Jay-Dee (Trisha) Aylor: grandchildren, Jonathan (Chelsea) Harrott, Alyssa Harrott and Cole Aylor: siblings, Ira Jane (Angus) Fox, New Town, Delmar (Colleen) Wilson, Twin Buttes, Jim (Deb) Wilson, Grand Forks, Elaine Simpson, New Town, Pamela (Rob) Snider, Lincoln and many nieces, nephews and their families. She was preceded in death by her husband, Eddie Ray Aylor: her parents, Bud and Viola Wilson: brothers, Robert Wayne Wilson and Urban “Ben” Benson: niece, Kelli Rae Driver and grandson, Jai Wilke.